﻿ The Spier Hotel Stellenbosch. JIMAT di Agoda.com! Ada soalan mengenai The Spier Hotel? Dibina pada 2000, The Spier Hotel merupakan tambahan menarik di Stellenbosch dan satu pilihan bijak bagi para pelawat. Dengan lokasi hanya 0.1 Km dari pusat bandar dan 25.6 Km dari lapangan terbang, hotel 4-bintang ini menarik banyak pelancong pada setiap tahun. Persekitaran yang terjaga dan kedudukan berhampiran dengan Pasar Kraf di Spier, Spier Amphitheatre, Eagle Encounters South Africa memberi hotel ini daya tarikan istimewa. Menawarkan tetamu hotel perkhidmatan yang unggul dan pelbagai kemudahan, The Spier Hotel komited untuk memastikan penginapan anda berada di tahap seberapa selesa yang mungkin. Tetamu hotel boleh menikmati kemudahan seperti khidmat bilik 24 jam, Wi-Fi percuma semua bilik, pengawal keselamatan 24 jam, pendiang api, kedai cenderahati. Tetamu boleh memilih dari 155 bilik, semuanya yang akan memberikan suasana ketenangan dan keharmonian. Senarai lengkap kemudahan rekreasi boleh didapati di hotel, termasuk kolam renang terbuka, spa, rumah urut, taman permainan kanak-kanak, kelab kanak-kanak. The Spier Hotel merupakan tempat yang ideal bagi penginapan pelancong yang mencari keindahan, keselesaan dan kemudahan di Stellenbosch. Super was a good base for exploring the Winelands area. 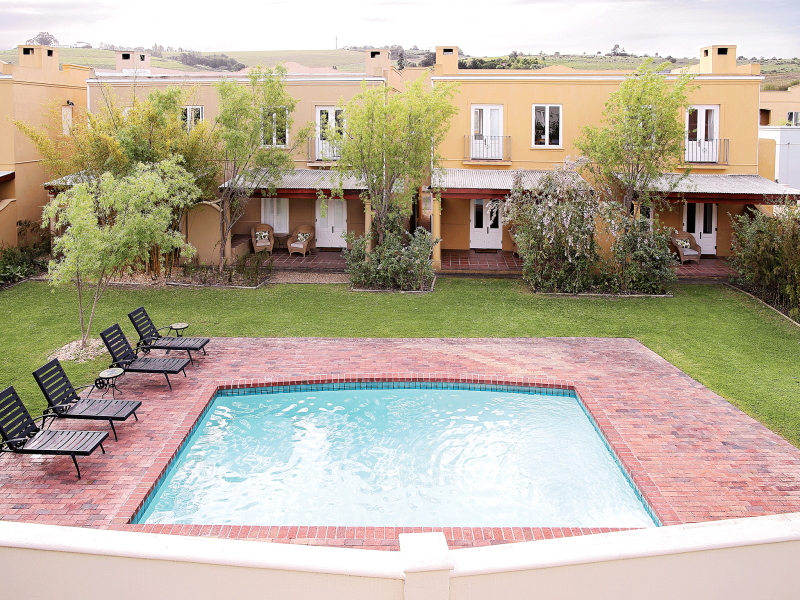 The hotel and farm is large with many activities geared towards families, We enjoyed the generous size rooms, overall layout of the farm and also the pool and spa facilities. We enjoyed breakfast on the terrace and also the evening we at in the farm restaurant. Our room faced the street and although set back, we could hear noise from traffic and the train -rooms further back would be quieter. We also found that ordering things at breakfast like coffe or hot milk seemed to take a long time, arrive not as requested or not arrive at all. Overall we would recommend it and also stay again. the hotel is massive with lots to do. We did the picnic & the wine tasting. both were fantastic. The rooms are spacious, clean & comfortable. We were woken up at 1am with someone trying to get into our room but we had the latch on so they couldnt open the door. This scared us quite a bit! We really enjoyed our stay at Spier. The staff were incredibly helpful and our room was lovely. Unfortunately I don't think we would stay here again, specifically due to the shear amount of children. It was difficult to relax and have a wine or even have a romantic dinner when there were screaming children everywhere. This wasn't just at the main restaurant, this was also at Restaurant Eight. In saying this, we did have an enjoyable time and think that it's a fantastic resort for families. There are great activities including eagle encounters and bike riding. We loved walking through the vegetable garden on our last morning too. Very clean hotel with interesting design and friendly staff. The exterior design is quaint and colorful. However, the interior of the rooms feels very austere and needs some homeliness to make it special. The room, the food, the fantastic atmosphere! What can I say other than it was a weekend of pure bliss at Spier! The room is unbelievable with King size+ bed, an incredible bath, beautiful finishes and the perfect fire place to top it all off! The restaurants (Eight and the hotel's restaurant) are all 5 star, with the most incredible selection! The breakfast buffet is particularly impressive! The staff are all fantastic, the wine is remarkable, the bird sanctuary is a must, and the whole vibe of the place puts you in paradise in the winelands! It was truly a weekend of heaven at Spier! We had a lovely stay at the Spier hotel. The rooms were large and comfortable with garden and pool access. We only stayed for 1 night, but could of had a few days as there is lots to do with wine tasting, Segway tours and picnics. Restaurant is nice and easy check in and check out. Loved the hotel and there was just so much to do with kids. Everywhere was really child friendly, good selection of restaurants to choose from. Will definately be back. It a good two nights stay here. We loved our room. But food wasn't great at the restaurant so we most drove out to find our lunch and dinners after we tried the first night. 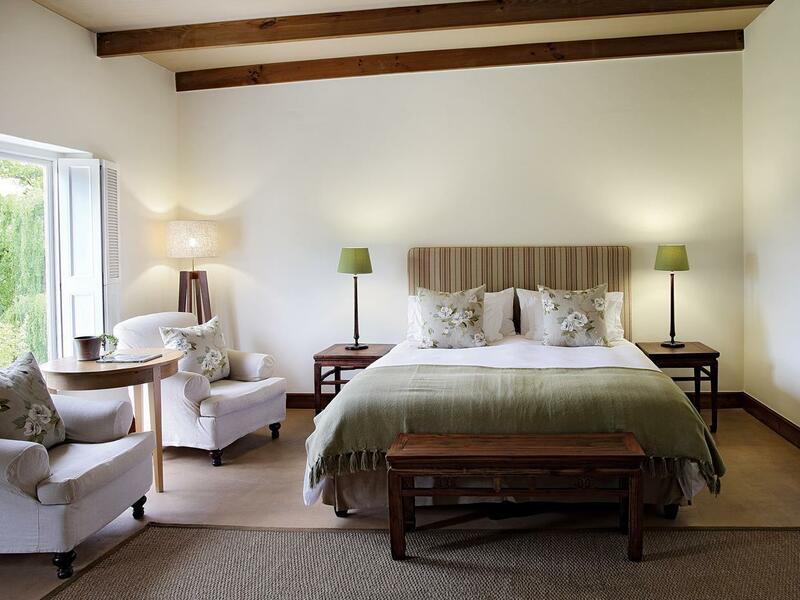 A good hotel from which to explore the Stellenbosch area. I made multiple attempts to schedule a stay, and all were unsuccessful due to the lack of response from the staff. Each day I tried to schedule I wouldn't get a response till the next day, and then I had to book a more expensive room when the less expensive rooms have been booked. I had to book through Agoda to finaly secure a room. During our check out the staff tried to bill us again for the VAT. Even though it was clearly shown as paid on our receipt from Agoda. My wife had to have a manager come over to resolve the depute. They claim they haven't received the VAT from Agoda. That's between the hotel and Agoda, but we have paid what we are required to pay. No other places we stayed in South Africa asked us pay the VAT again, when we already paid it through Agoda. Very shady!!! 3 of us couples booked away for a friend's wedding at Hidden Valley. (Side bar: you must try Overture restaurant there). The staff were friendly but I was surprised that the rooms were not as charming as the pics suggested. Cold floors and a rough rug greeted us. Although the art on the walls suggested something modern and trendy, the rooms themselves didn't bear this out. Very dated I thought. No curtains so light streamed in from one of the wood covered windows in the mornings. We were also woken up both mornings with a knock and call of "MINI BAR" (my hubby thought they were yelling for someone called Phillipa) despite the Do Not Disturb sign on the doorknob. The staff also had walkie talkies on full blast outside so I could hear all the very loud arrangements being made for rooms to be cleaned. Not exactly relaxing. Made me grumpy. On the upside: breakfast was simply divine. Try the chilli cheese omelette. And really beautiful café with yummy lunch at Hogshead; 10 minute walk away. Would I stay there again? Probably not. Oh yes, pillows were very hard so we all got up with a sore neck. I'll try somewhere else. The rooms weren't luxurious in any way, very sparse and simple. We had to walk long way outside from the room to main part of hotel. Many of the facilities seemed closed (no craft market, restaurant closed certain days and Moyo restaurant closed for good). Location was decent but saw many other vineyard hotels which looked just as nice- not sure it was best value for money. the stay was enjoyable, with one big disappointment - the restaurant menu for dinner. It was very limited, no vegetables with only potato wedges being added. this made it very expensive. For a hotel that prides itself on local produce it could do a lot better. Breakfasts were good. 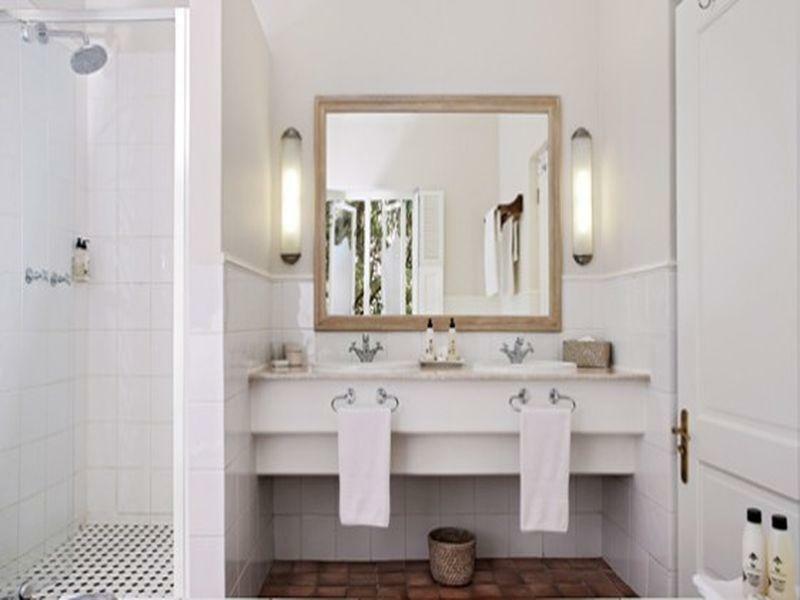 Spier is an amazing hotel with tons to do on the premises. I was so impressed with the rooms and restaurants. Would definitely come back and highly recommend it. 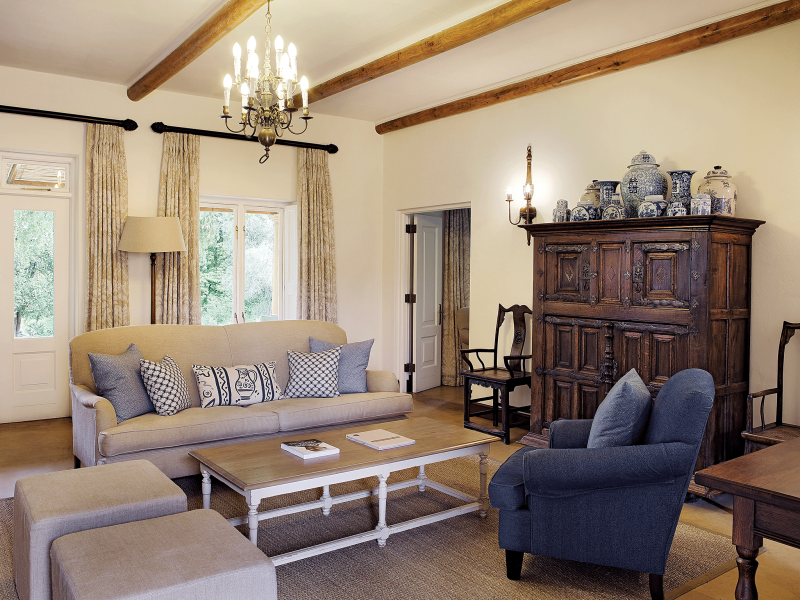 Spier was an excellent family friendly hotel with good access to cape town and wine regions.